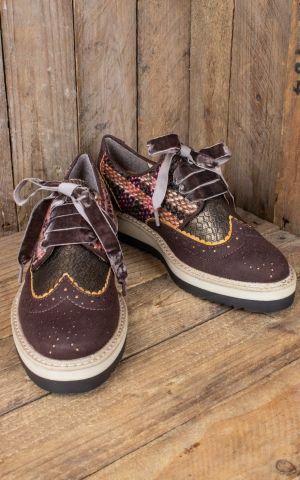 Ruby Shoo designs are a mix of modern fashion trends and timeless vintage looks. The result: stylish shoes, handbags and purses in gorgeous colors and with beautiful embellishments. The label was conceived in 2010 by a small team under the direction of designer Samantha Lines. Since then it has gained a reputation in the fashion world. 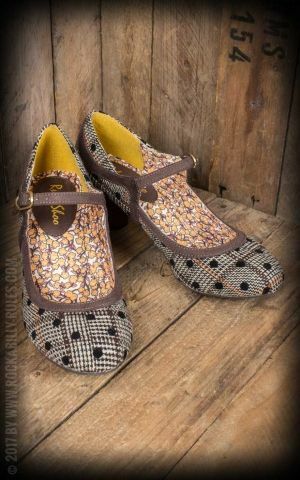 Today shoes and accessoires by Ruby Shoo are popular with women all over the world, especially with rockabellas, pin-up girls and 50s fans. 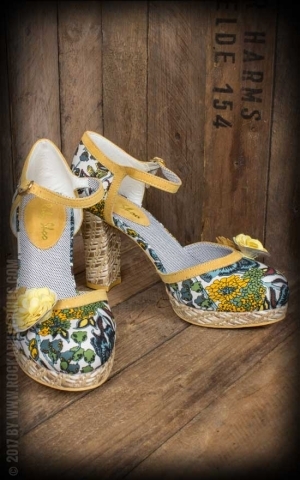 They are the perfect addition to a tasteful vintage or rockabilly outfit. The 50s and 60s are a big influence on the designs of Samantha Lines and her team. 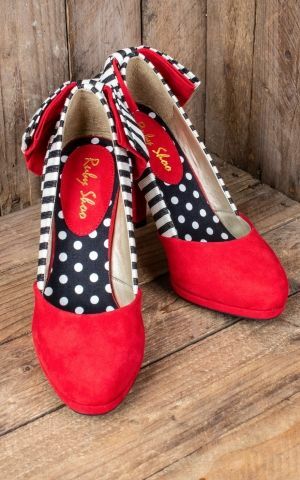 Sweet polka dots and stripes are prominent in the collections of Ruby Shoo. 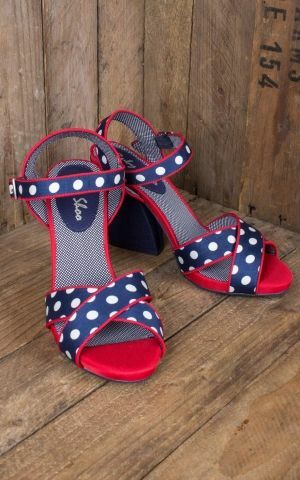 They decorate pumps, hand bags and purses and makes them perfect accessories for a rockabilly outfit. 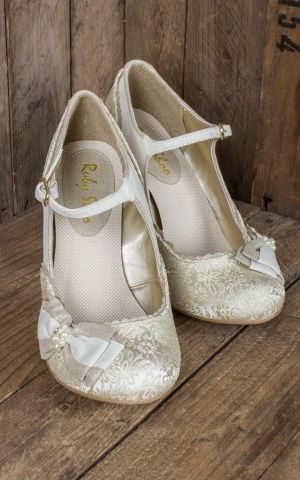 Colorful flowers, silver brocade, ornaments, bows and buckle trims ... - Ruby Shoo makes it difficult to get bored. . Besides the shoes and bags by the label are not only good looking. Thanks to comfortable footbeds and removable shoulder straps, you will want to have them around from office to evening. 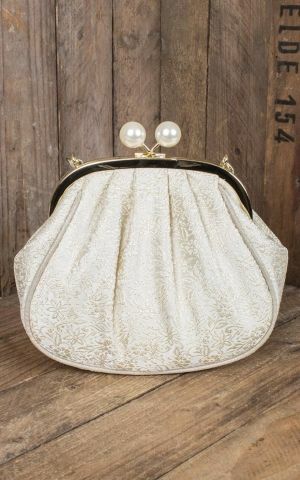 Discover now the beautiful bags, purses and shoes by Ruby Shoo in our shop!